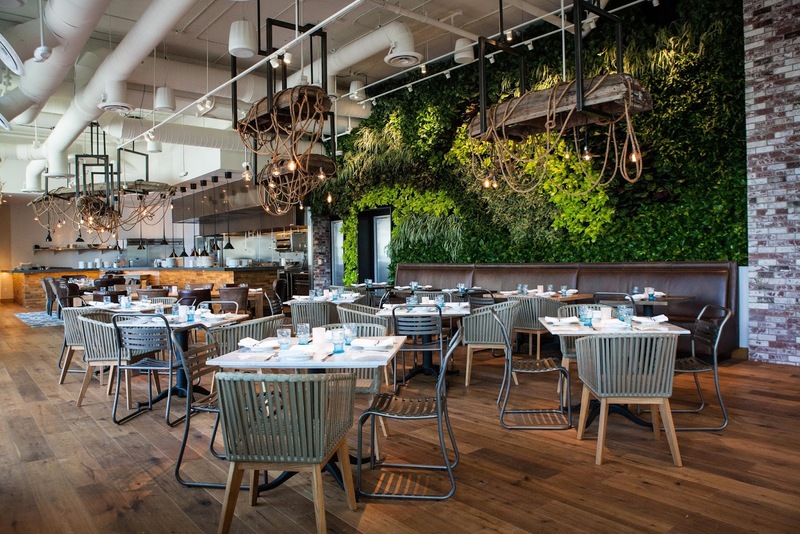 A couple of weeks ago Edible Skinny was lucky enough West of Lincoln to experience all things mollusk at Herringbone, Santa Monica. Our date: the delightful Miss Katie Johnson! 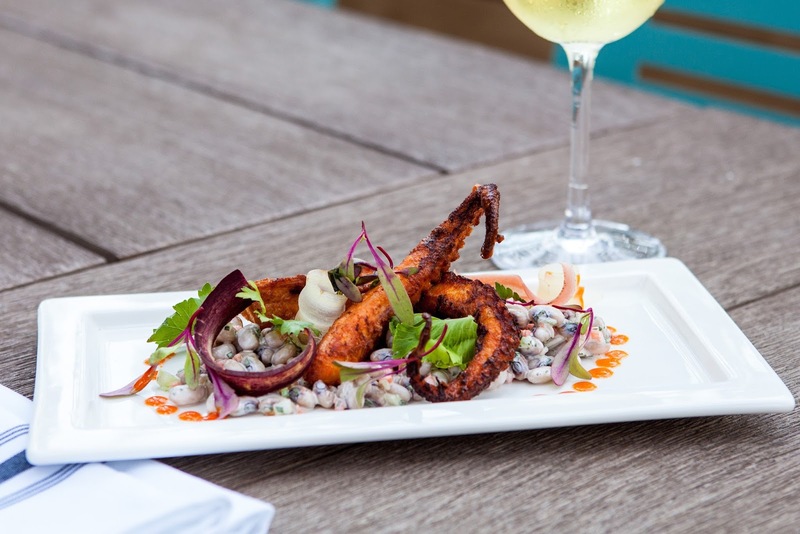 Chef Brian Malarkey opened the company’s third ocean-to-table location a little over a year ago at the Seychelle 310 at 1755 Ocean Ave. The space quickly become an aquatic dining hotspot. Inspired by The Taste alum’s passion for expertly crafted coastal cuisine infused with seaside whimsy, the restaurant features dishes that evoke his signature “Fish Meats Field” philosophy alongside new, market-driven offerings that are unique to its beachside locale. 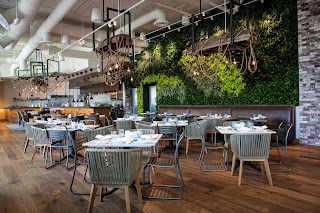 Herringbone first opened its doors in San Diego’s coastal community of La Jolla in spring 2012. The acclaimed restaurant has since been awarded “Best New Restaurant,” “Best Atmosphere” and “Best Chef” by San Diego local newspaper, La Jolla Today, as well as “Best Design/Atmosphere” by San Diego Magazine and most recently was one of two San Diego restaurants to be named in OpenTable’s 2013 impressive “Hot 100 Spots to Dine in America” list. After oysters we dabbled with health food greens with two of Herringbone’s summer salads. The first was their Stone Fruit Salad ($16) a composite of Mizuna, Burrata, Smoked Almonds, and Oregano Vinaigrette. The smokiness of the nuts balance beamed the creaminess of the cheese for a perfect 10. Katie entrée-ed with the Albacore Poke ($15) a mixture of Tuna, Ginger, Soy, Spicy Mayo, Avocado, Nori Chips. “The chips are what makes the dish,” she squealed with delight! I dined on veggie pasta dish that was hearty yet not too heavy as to feel overwhelmed. We girls finished off our lunch with the delightful Herringbone Sundae ($11) composed of Chocolate Ice Cream, to die for Sea Salt Blondies, Marshmallow Cream, Caramelized Cocoa Nibs, and Creamy Caramel. It was an absolute delight in our mouth. 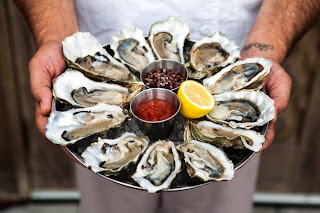 FYI, along with lunch and dinner, Herringbone is open for Oyster Hour (Herringbone’s take on happy hour) where oysters are a $1 a piece! 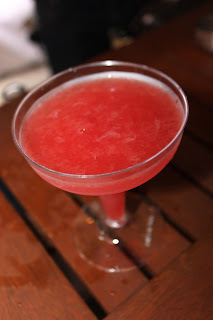 So here’s to life being delicious and all your bites being salty, squishy goodness. 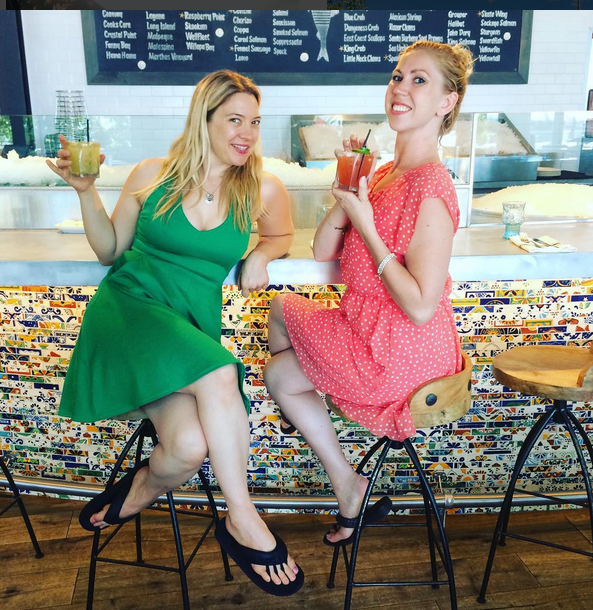 Edible Skinny was lucky enough to be in New Orleans for Tales of the Cocktail this year and we had an absolute blast getting tipsy as Hell!!! 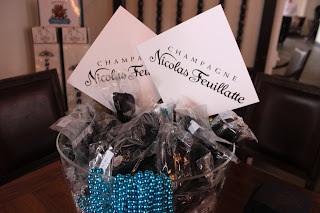 One of the highlights were our attendance of not one but two Nicolas Feuillatte Champagne’s parties at Tableau. 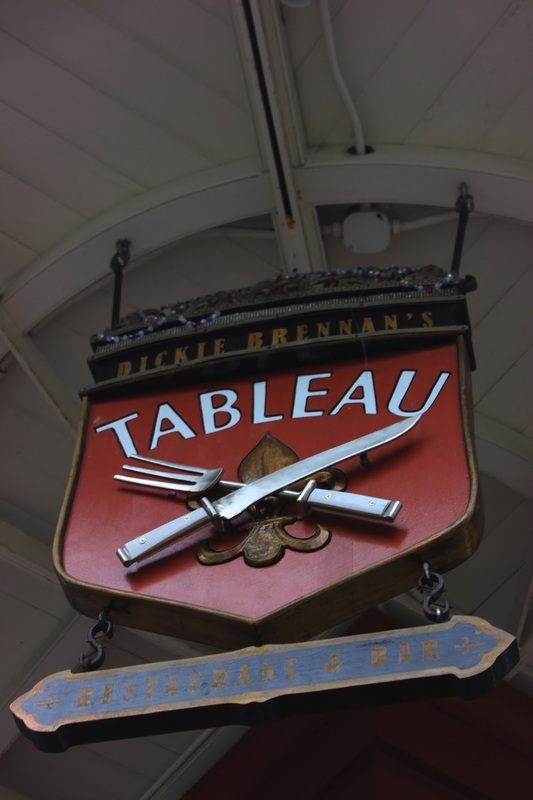 Located cattycorner to the popular tourist destination of St. Louis Cathedral on picturesque Jackson Square, Tableau is Dickie Brennan’s newest restaurant (others include Dickie Brennan’s Steakhouse, Bourbon House, and Palace Café). 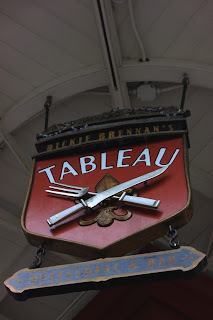 Tableau is a restaurant that showcases regional ingredients and classic French Creole dishes with a unique twist. The restaurant’s architecture includes a grand staircase that spans three stories connecting private dining rooms, balcony dining, and courtyard seating, for an authentic New Orleans dining experience. 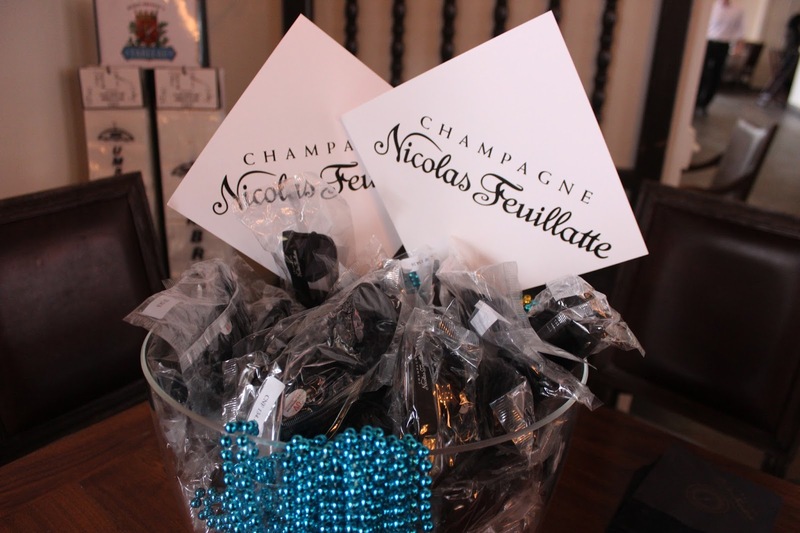 On Wednesday we attended the Nicolas Feuillatte Dynamic Duo Happy Hour in said courtyard (plus numerous tiny bubbles from a second story bubble machine). The event featured a friendly Champagne cocktail competition between Mixologist Lynnette Marrero, Owner/Co-Founder DrinksAt6/Speed Rack, New York City, and Tableau Beverage Director Barry Himel as they competed to create the official 40th Anniversary Champagne Cocktail for Nicolas Feuillatte. Nicolas Feuillatte is the No. 1 Champagne in France and No. 3 worldwide with 10.8 million bottles sold worldwide and is available in 96 countries worldwide. Founded in 1976 by Monsieur Nicolas Feuillatte, this year the brand is celebrating its 40th anniversary. And thus the dueling Happy Hour in said bubble filled courtyard. 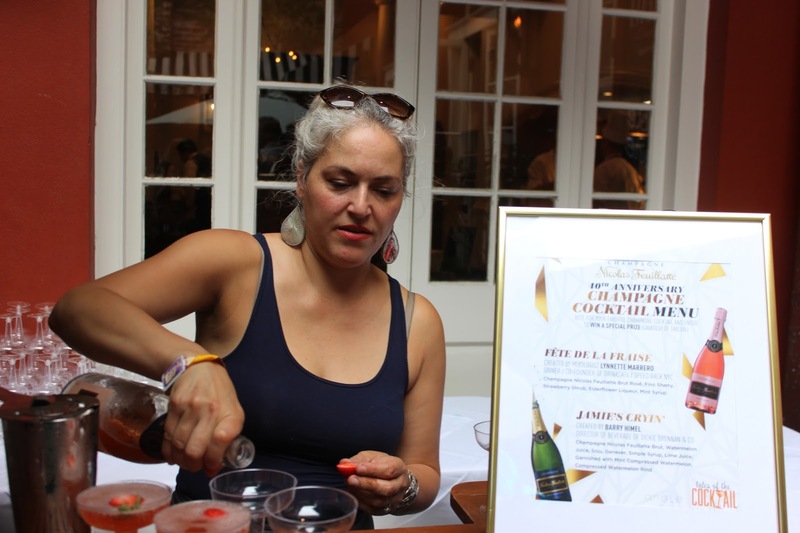 The champagne Battle Royalé included the Fete de La Fraise concocted by Ms. Marrero (Mint Syrup, Strawberry Shrub, Sherry, and Nicolas Feuillatte Rosé Champagne) and Jamie’s Cryin’ crafted by Barry Himel (Soju, Watermelon Juice, and Nicolas Feuillatte Brut Champagne). Both recipes are below for those who want to recreate the perfect NOLA champagne cocktail! Turns out both as the result was a straight down the middle tie. And on Thursday Edible Skinny escaped the bathtub humidity heat and returned to Tableau to check out Nicolas Feuillatte’s Champagne Lounge. 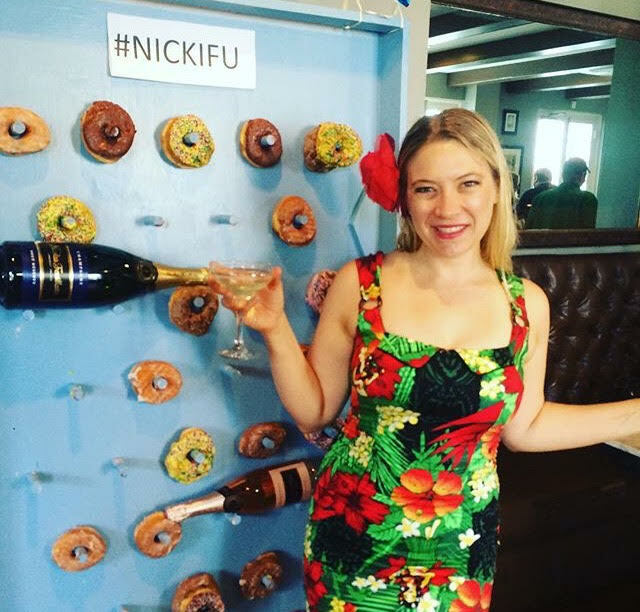 A speakeasy-inspired event was located in the upstairs drawing room and balcony of the restaurant and featured select complimentary Brut and Rosé (alongside a donut selfie station). To gain access we had to have a must have password (in case you were wondering it was “Nicki Fu”) and then it was onto the bubbly options in the balcony. All were fantastically delightful! Along with bubbles galore were pink colored sunnies and some of the best brie of my life! At the end of the week Edible Skinny was delighted in Nicolas Feuillatte’s ability to toast the magic and mystery of Tales of the Cocktail (and life in general). Here’s life being delicious and every day involving both bubbly and bubble machines. James Cryin’ - Created by Barry Himel, Director of Beverage of Dickie Brennan & Co.
Mint compressed watermelon, compressed watermelon rind for garnish. Shake the first five ingredients with ice, then strain into a coupe. Top with Champagne. Garnish with a speared cubed watermelon and watermelon rind. 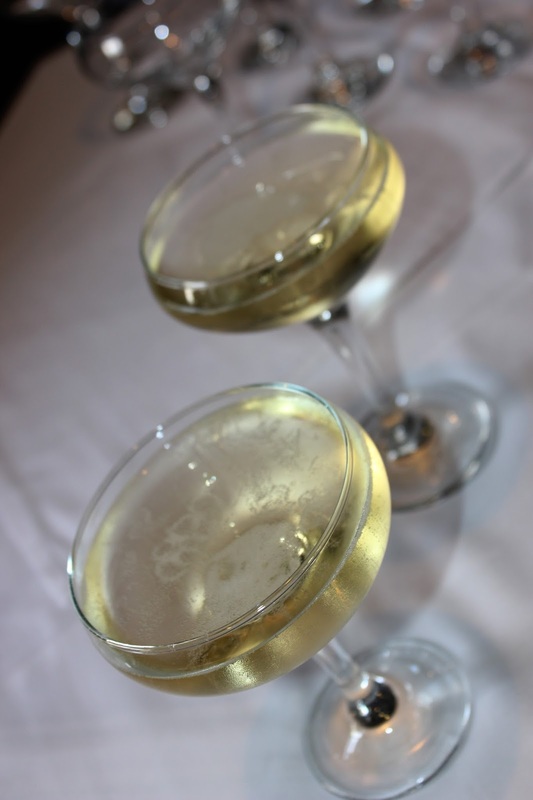 Combine all ingredients except Champagne into mixing glass over ice. Strain into a glass over ice and top with Nicolas Feuillatte Brut Rosé Champagne.